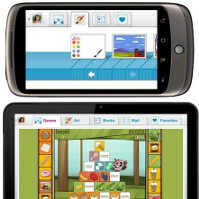 Inquisitive Minds has been bought out by HTC for $13 million to make tailored apps for its smartphone and tablets. The company is behind Zoodles, a kid-safe suite of programs that is also available as a free app for Android and iOS from the mobile operating systems. Zoodles features a child-friendly interface and has every means for parents to tweak or overhaul the digital playground as they see fit - blocking inappropriate content, banning certain characters, or making a list of educational games and videos for the kid to go through, for instance. HTC most likely intends to leverage its Inquisitive Minds buyout into something that only the handsets and tablets from the manufacturer will have, in the ongoing effort to differentiate itself in the Android crowd. For instance, every time you hand your kid an HTC smartphone or tablet, you can enable a kid-safe mode, which can be quite useful for parents.